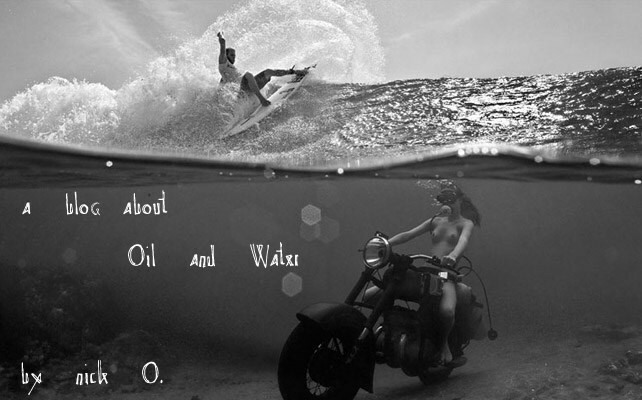 The Motor - Surf Blog: Dreaming in Black & White - Is this what they mean by Racey? Documenting life during the first attempt at restoring a vintage motorcycle. Meaning I obsess over it, get frustrated, yell, laugh at myself and overall waste a lot of time. Dreaming in Black & White - Is this what they mean by Racey? By yours truly... Nick O.
Pieces-of-the-Pie _ What is the Frickin Hold Up? This blog is not affilated with any official websites or blogs. It will not feature any paid advertisements. It is not meant for official records. It is a personal hobby and all the contents and photos are downloaded or modified from free internet content. Credit goes to the original posters and the original posters have been credited wherever applicable.